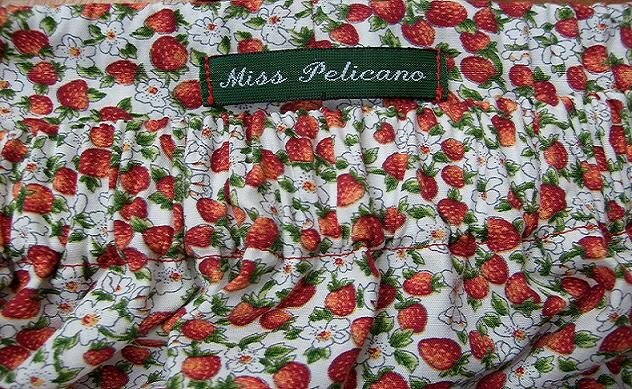 Miss Pelicano: First things first! So, I'm back! I think! I've been immersed in a nightmare of a maths course since January and literally drowning in numbers, formulas and other mathematical stuff which I just want to forget. I am slowly waking from that very bad dream - which unfortunately was very real! - and although I've started new courses, these will be like a gentle summer breeze! I'm now taking two courses on Second Language Acquisition which is very interesting as I am billingual, learnt Swedish as an adult and have two trillingual children and have always worked with multilingual children! Fun! It's been impossible to sew or blog but everyday I looked at my fabrics and planned what to do with them. I opened them and felt them. Then put them back. I also thought I would stop blogging. I know many bloggers go through this phase. 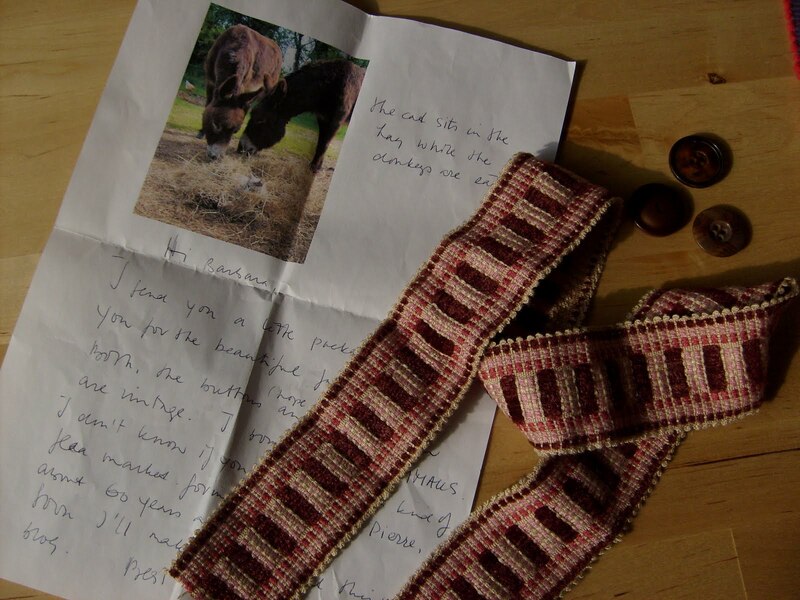 But once in a while I got a kind e-mail, or a comment, or a parcel in the post, from fellow crafters/bloggers which really gave me lots of warmth and encouragement! I never stopped visiting all the fun blogs that inspire me - yes, you all! And it's just incredible how much you all are doing and how much that has lightened my days! Thank you all! A while back I got a completely unexpected parcel in the post from Baukje. Baukje joined my Help Haiti Fabric Auction and has a lovely blog about knitting, sewing and about her daily life! A lovely letter - check out the cat in the hay! A lovely vintage ribbon and some useful buttons! I will be posting a couple of things and I hope you pop in to see them! Não tens que agradecer o "empurrãozinho";) Ainda bem que estás de volta, querida Bárbara!